Not for lack of trying, the compact car class tends to suffer from a widespread case of ho-hum. These vehicles aren’t often lauded for their distinctive style or surprising offerings, of course, but more for their practicality and dependability. Why can’t a small car do it all? Turns out one can: It’s the Kia Rio. You might be surprised to hear that Kia, a value brand, has succeeded in a feat that other brands with pricier options have yet to achieve. But it’s true. Just take a look at the distinctive style of the 2019 Kia Rio, and you’ll see that it’s got personality to spare, standing apart from the pack with its stylish exterior and confident road stance. That’s not to say that the Rio skimps on features – quite the opposite! No matter which version you choose, you’ll get an impressive array of standard and available technology, comfort, convenience, and safety equipment that will make you do a double take at the remarkably affordable price tag! That’s even more true when you buy your Rio from Renaldo Kia. Why? Because at our Shelby, NC dealership, all the vehicles we have in stock are priced low from the start. And to sweeten the deal, we also factor in amazing savings from factory incentives, special lease and financing offers, and more – all in our quest to make sure you’re getting the best possible price on your new or used vehicle. Explore our inventory online and make note of the models you’d like to take a closer look at. Then stop by our dealership, conveniently located near Charlotte, Grover, and Waco, and test drive your top picks. You’re sure to love the Kia Rio – and you’ll love the savings we have in store even more! The Rio’s 2018 redesign gave it a boost of interior space to accommodate passengers in even more comfort than ever before, and the 2019 Rio picks up from there. It also gives you access to an amazing selection of cutting-edge technology features including a 7-inch touchscreen with satellite radio, Apple CarPlay, and Android Auto – features that drivers all over are clamoring for. There is also an extensive selection of advanced safety and driver assistance equipment to keep everyone inside the Rio better protected on the road. These systems include hill start assist control, vehicle stability management, electronic stability control, and autonomous emergency braking. The Kia Rio offers a smooth ride and easy handling as well as solid fuel efficiency. It’s powered by an energetic 1.6L inline-4 engine with 130 horsepower and 119 lb-ft of torque. Whether you’re sold on the Kia Rio or are still exploring your options, Renaldo Kia invites you to come by our dealership and look around. We have a fantastic selection of all the new Kia models you love, including the Rio – plus a well-stocked inventory of high-quality pre-owned cars, trucks, and SUVs at a variety of price points. 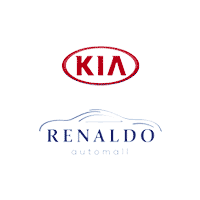 There truly is something at Renaldo Kia for every driver and every budget. Check out our inventory online and then head to our Shelby, NC dealership when you’re ready to test drive your top picks! It’s a sure bet you’ll love our cars – but just wait until you hear about the incredible savings opportunities we have for you!